I (Chris ‘Brolga’ Barns) first established the Baby Kangaroo Rescue Centre in Alice Springs in 2005. I then build The Kangaroo Sanctuary Alice Springs, a 188 acre wildlife sanctuary for our rescued orphaned baby kangaroos and adult kangaroos, which I opened in 2011. 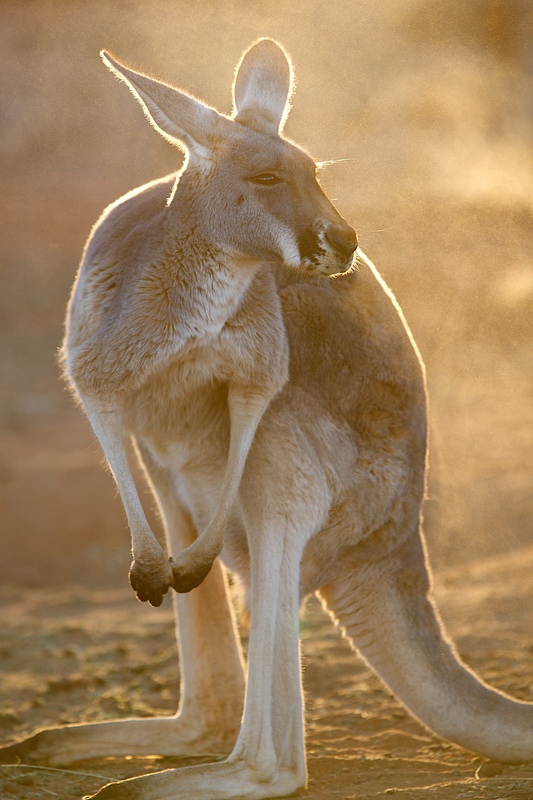 Our mission is to educate and encourage people to rescue and care for kangaroos and other wildlife and animals. Our motto is Animals Come First. In 2013 our documentary called Kangaroo Dundee was made by BBC UK / National Geographic USA and follows the interesting lives of our mob of rescue kangaroos and other wildlife. Our documentary is shown in over 90 countries and is now up to its third series. In 2015 I built Central Australia’s first wildlife hospital with the help of kind donations and from visitors on tours of our Sanctuary. Donations are welcome to help us continue to run both our Sanctuary and Kangaroo Hospital so that we can rescue and care for our orphaned baby and adult kangaroos living at our Sanctuary.